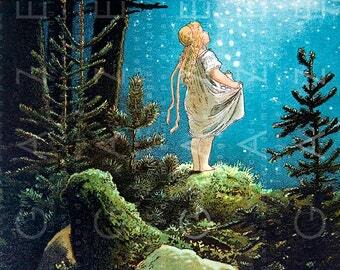 LITTLE GIRL Under A Starry Blue SKY. . Vintage Fairy Tale Illustration. Digital Fairy Download. Vintage Fairy Print.